Born in 1958 in Dhaka, Bangladesh, Mohammad Rafiqul Islam graduated with a DVM from Bangladesh Agricultural University, Mymensingh in 1981 and obtained an MSc (Vet Sc) in Parasitology in 1981. He obtained his PhD from the University of Liverpool, UK in 1988 after producing a dissertation on early pathogenesis of avian reovirus infection. From 1999 to 2000 he was a Humboldt Fellow at the University of Leipzig, Germany and conducted research on molecular characterisation and reverse genetics of infectious bursal disease virus and chicken infectious anaemia virus. 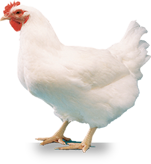 The other areas of his major research interest are avian influenza virus and Newcastle disease virus. Currently Dr Rafiqul Islam is a Professor of Veterinary Pathology at Bangladesh Agricultural University and also holds the position of the Director of Interdisciplinary Centre for Food Security of the same University. Previously, he also worked as the Regional Animal Influenza Laboratory Coordinator of Food and Agriculture Organization of the United Nations at its regional office in Bangkok, Thailand during 2008-2009. Prof. Rafiqul Islam was the pioneer of avian pathology education and research in Bangladesh. He has supervised or co-supervised 15 PhD students (including the current students) and many MS students. He has published about 80 research articles. He received Bangladesh Academy of Science Gold Medal in 1994 for his outstanding research. He also received Asian Avian Pathology Lecture Award 2014 and was also invited as keynote speaker in WVPA congress in 2015. Prof. Rafiqul Islam was the founder President of WVPA, Bangladesh Branch. 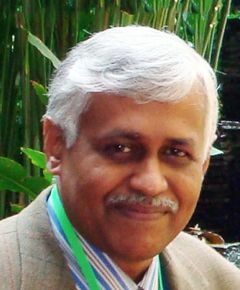 He served as the Senior Vice President of WPSA, Bangladesh Branch. He was the founder Treasurer and subsequently served as the Secretary and President of Bangladesh Society for Veterinary Education and Research. He is a member of the Bangladesh Veterinary Council and chairs its Education Committee. He is a member of the Editorial Advisory Board of Avian Pathology.